LAHORE: (Tuesday, May 22, 2018): Punjab University and MILLS Skills have signed a memorandum of understanding for skills development and would conduct awareness and assessment activities. 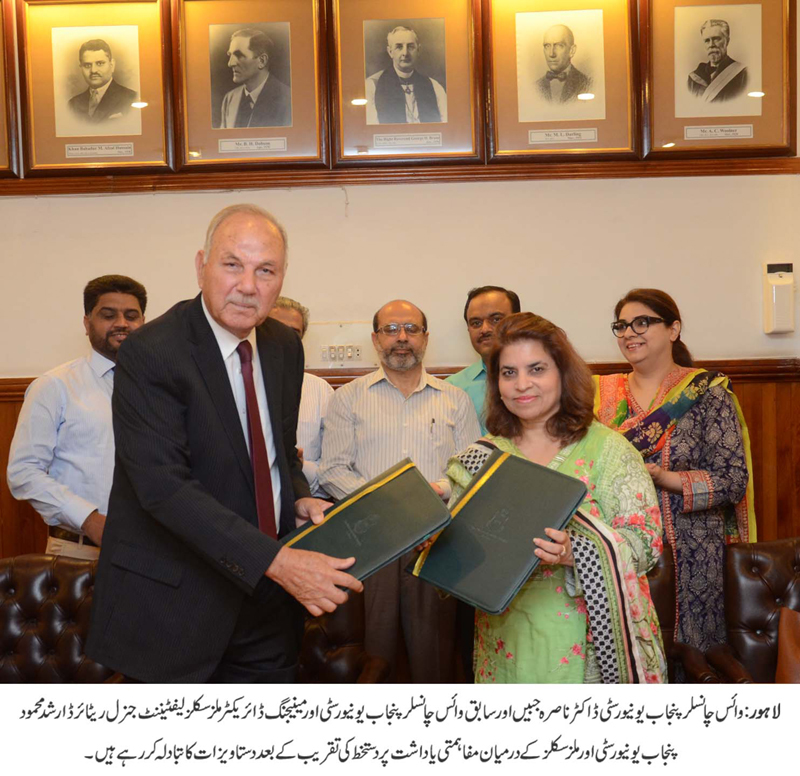 In this regard, an MoU signing ceremony was organized at Vice Chancellor’s office here on Tuesday. 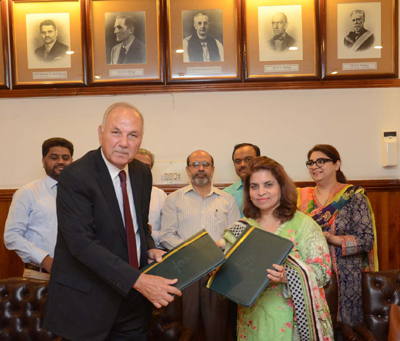 PU Vice Chancellor Prof Dr Nasira Jabeen, PU’s former Vice Chancellor and Managing Director MILLS Skills Lt Gen (r) Arshad Mahmood, Registrar Dr Muhammad Khalid Khan, Director External Linkages Dr Fauzia Hadi Ali and others were present on the occasion. According to MoU, both the parties would organize joint activities for creating critical thinking skills, creative thinking skills, leadership competencies etc among the students. Addressing the meeting, PU VC Dr Nasira Jabeen said that our youth was full of talent and PU would provide platform to its students to polish their skills. She said that PU administration would make efforts to produce the best human resource in all the fields.